HOUSTON (CN) – Criminal justice reform in Texas’ biggest county took another tortured step forward Thursday, as combatants in litigation over the county’s bail policies laid out their differences before a federal judge who is narrowing her injunction in the case. U.S. District Judge Lee Rosenthal has put Harris County on the path towards reforms in line with a growing movement across the United States away from cash bail. Harris County, with 4.5 million residents, is the third-most populous county in the United States. Its seat is Houston. Rosenthal issued a preliminary injunction in April 2017, finding Harris County’s practice of having magistrates set bail at probable cause hearings with a fee schedule based on the charges unconstitutionally favors those who can afford cash bail. She ordered the county to release within 24 hours on personal bonds, which do not require upfront fees, misdemeanor defendants who sign affidavits stating they cannot afford the preset bail. 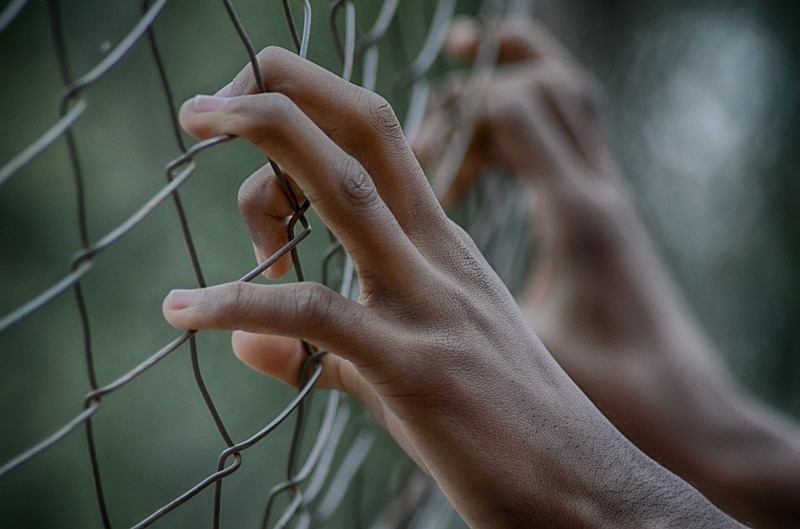 Harris County and 14 of its 16 criminal court judges appealed Rosenthal’s order to the Fifth Circuit, but a three-judge panel affirmed in February that the county’s “wealth-based detention” system is unconstitutional. However, the unanimous panel disagreed with Rosenthal’s laser focus on defendants’ ability to pay bail. It said she did not give sufficient weight to judges’ interest in ensuring defendants show up for hearings and for community safety. The New Orleans-based appellate court remanded the injunction to Rosenthal with instructions to narrow it in light of its holding that there’s no automatic right to pretrial release for misdemeanor arrestees, which it said Rosenthal’s order amounted to. Rosenthal started that process at Thursday’s hearing. “I hope defendants are committed to following the rest of the country in fixing a bail system the Fifth Circuit agreed is terribly flawed,” she said in opening statements. Harris County’s insistence on fighting the litigation, which started in May 2016 and has already cost it more than $6 million in fees to outside counsel, is puzzling to two critics with insider knowledge of its criminal justice system. Judges Mike Fields and Darrell Jordan, the only African-Americans among the county’s 16 misdemeanor court judges, are defendants in the lawsuit only in name because they agree with the challengers’ claims that the county’s bail system is flawed. Fields compared defenders of the county’s bail practices to those “society deemed good, moral and decent people,” who opposed ratification of the 14th Amendment in 1868, which undid the U.S. Supreme Court’s Dred Scott decision. That 7-2 ruling in 1857 held that people of African ancestry did not qualify as U.S. citizens. Judge Jordan is at Fort Hood, a military base in central Texas, fulfilling his obligations to the Army National Guard. He had his attorney read his statement at Thursday’s hearing. “In the American criminal justice system there is ABSOLUTELY no room for discrimination of any kind,” Jordan wrote. Jordan, a Democrat, wrote that he can empathize with poor people because as a child he and his brothers dug through trash for aluminum cans so they could have money to eat. “For months Judge Fields and I have been reaching out to all parties in this lawsuit seeking common ground. Despite our best efforts, our co-defendants have refused to come to the table,” he said in his statement. Before they were sued, county officials were working on reforms geared toward granting more misdemeanor defendants personal bonds, measures they started implementing in July 2017. One of the reforms is a new risk assessment tool, under which there are seven categories of defendants the county criminal judges say should presumptively be released on personal bonds. Yet the county is still sticking to $2,000, $1,000 or $500 preset bonds for these defendants, and arguing judges should have up to 48 hours to hold a hearing to assess the defendants’ risk of not showing up to court or committing more crimes while out on bond. Despite the litigation, Kate David, a Husch Blackwell attorney representing Harris County, said she is very proud of reforms the county has made, especially its new practice of providing public defenders for all misdemeanor defendants at probable cause hearings where bail is set. “We are the first county in Texas to do so,” David said. “I’m curious to know how many counties in the country beat us to the punch,” Rosenthal said. Civil Rights Corps attorney Alec Karakatsanis represents lead plaintiff Maranda ODonnell. She filed a class action against Harris County in May 2016 after she was arrested on a misdemeanor charge of driving with an invalid license and a magistrate judge set her bail at $2,500. At Thursday’s hearing, Karakatsanis highlighted the fact that data supplied for a preliminary injunction hearing Rosenthal held in March 2017 showed there’s no evidence that people released on a cash bond are more likely to show up for court than those released on a personal bond. “We’re saying instead of having a bail hearing, these are all people who the county has deemed eligible for release, they should just release them … Given the factual record showing that money bail has no relationship to court appearance or community safety,” Civil Rights Corps attorney Elizabeth Rossi said after the hearing. One of the challengers’ key arguments is that jailing poor people charged with petty crimes can compound their poverty, as they risk being fired from their jobs while they languish in jail. With 30 people watching from the gallery, Judge Rosenthal said Thursday that she will give the parties a draft revised preliminary injunction. “And I will make clear I am inviting input,” said Rosenthal, chief judge of the Southern District of Texas. She seemed to be more closely aligned with the challengers’ position. “Why are the 14 judges so adamant about keeping these people detained for 48 hours, when people who can pay can walk out the door?” she asked the county’s counsel, Chuck Cooper with the Washington, D.C. law firm Cooper & Kirk. But Rosenthal said she will take a cautious approach to dialing back her injunction, keeping in mind the Fifth Circuit’s warning not to turn the presumption that some defendants should be released on personal bonds into a right.